This has been a sad week for spaceflight. At the start of the week — on October 28, 2014 —Orbital Science’s Cygnus Spacecraft was lost shortly after liftoff. The unmanned, 200-million-dollar Antares rocket exploded 6 seconds into flight. Then yesterday (October 31, 2014), things got worse: Virgin Galactic’s SpaceShipTwo experienced an “in-flight anomaly” shortly after takeoff. The incident claimed the life of the test pilot and severely wounded another pilot. The concept of spaceplanes and sub-orbital crafts has gained increasing traction over the course of the last decade, with economic powerhouses like Richard Branson and Jeff Greason taking an interest in the commercial benefits that such ventures could offer. A ride on a spaceplane, like Virgin Galactic’s VSS Enterprise, would take occupants 60,000 feet into the sky, allowing them to experience between 5 and 15 minutes of weightlessness, and efforts have been made to make these dreams a reality within the next year or so. This incident will obviously cause a significant delay in public spaceflight; however, space travel is not easy; it is not without risks; and as always, we will soldier on. Alan Stern, a former NASA scientist, previously bought seats to fly on Virgin Galactic for $250,000 (£156,000) apiece. And he is not rethinking his plans. “Let’s not be Chicken Littles here. I want to be part of the opening of this future frontier,” he said. On behalf of the entire NASA family, I offer our deepest condolences to the family and loved ones of the pilot lost in today’s accident involving Virgin Galactic’s SpaceShipTwo, and we are praying for a speedy recovery of the other pilot. While not a NASA mission, the pain of this tragedy will be felt by all the men and women who have devoted their lives to exploration. Space flight is incredibly difficult, and we commend the passion of all in the space community who take on risk to push the boundaries of human achievement. Space exploration has always carried great risk. 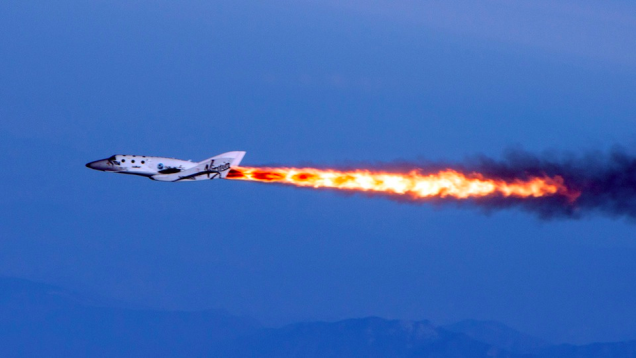 Our hearts go out to the people and families of Virgin Galactic. The space exploration community has suffered a great loss today. Nevertheless, we are inspired by Virgin Galactic’s commitment to the future. Space is hard, as evidenced by the catastrophic launch earlier this week. Because of the promise of discovery, we can be certain that others will step in to honor the fallen and then carry on to make space more accessible for the benefit of humankind. Spaceflight is not easy. It is not without risk. But the successes greatly outweigh the failures. Let us remember this as we remember those who gave their lives to what are, perhaps, the noblest causes: Exploration and Discovery.